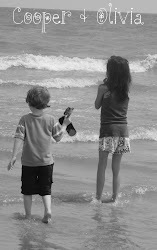 I began thinking of what to write for my first blog post when I knew that I would be blogging for heartwaves from a mommy of a child with CHD. And I thought that I would just start with who I am, how we got here and go from there. My name is Melissa Harvey. I am 35 years old and a mom of three. Ella Rose who earned her angel wings in August of 2005, a son, Cooper, 5 and Olivia, 9, my CHD’er. She was born with Coarctation of the Aorta, Pulmonary Stenosis, enlarged heart and Mitral valve stenosis. 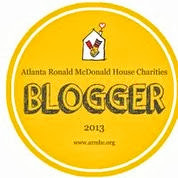 I have been married for 11 years and live in Atlanta, GA, born and raised. Before you ask, yes I am a huge UGA fan and an even bigger Falcons fan. I will tell you about why I truly am a huge Falcons fan later. But as most know, growing up in the south, SEC football is huge and it’s hard not to be a fan of some team here in the south! I am also very involved and passionate with spreading CHD awareness in my community. 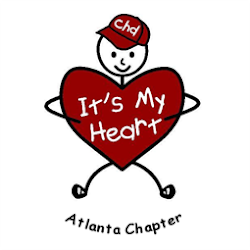 I am the President of the Atlanta Chapter of its My Heart and also a Co-chair for a group called Heart Friends that aide in fundraising for the Beads of Courage program at Children’s Healthcare of Atlanta. I have also been actively working on pulse ox legislation here in Atlanta and hoping to save lives! Currently, a study bill is being introduced for the pulse ox screening. This is exciting news! When we found out we were pregnant we were super excited! We couldn’t wait to have our sweet little bundle of joy in our arms! Nine months went by as expected with a few little bumps here and there in my pregnancy but pretty much as expected. We had a planned C-section and Olivia was born at around 5:36pm on December 19, 2002. Then there’s those four words that you hear and the rest of the sentence goes somewhere off into the air. There’s something wrong……and you suddenly drift back and hear the words…with your babies heart. It’s like a dream and suddenly you pop out and hope that it wasn’t real. Words as a new mom that you never expect to hear. You count all their fingers and toes and never ever dream that something would be wrong with your baby’s heart. We did not even know what CHD was or an inkling of what it meant. CHD-Congenital Heart Defect means so many different things to those of us who have heard these words said to them. But the one thing we do have in common is fighting. That is what all of our heart warriors are, fighters. They fight for life every single day and you cannot see it. Most people look at our heart kids and babies and don’t think that there is anything wrong with them. It is hard to relate to others about what are kids go through each and every day. 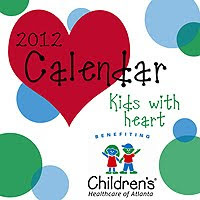 It is numerous amounts of doctor’s visits, pokes, tests, MRI’s, ultrasounds, echo’s, echocardiograms etc. These too, were words that I had no clue what they meant. But they quickly became a part of my vocabulary that is now a part of everyday life. 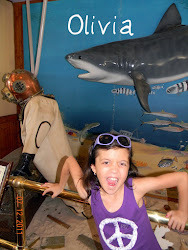 Olivia had open heart surgery in June of 2003 at 6 months of age. This is where I began to realize that I am not alone in this fight. This was the biggest realization for me. If you have been lucky like I have to have the support from family and friends and my friends with heart that I liked to call them. It helps to get through this fight called CHD, as well as other issues that arise. We recently found out that our daughter most likely has Noonan’s Syndrome on top of everything else. So, without them I have no idea where I would be. It is hard to find the normalcy sometimes in all of this. From trying to stay away from germs, to talking to others who ask such a simple phrase of “How are you today? Even if you did answer truthfully they would not understand anyway. So, it’s just easier sometimes to say “Good!” And go on about our day. I am now surrounded by those who know exactly what I mean when I say “Olivia has a follow up today….” And how important these “follow ups” are. They are my friends with heart. No need to explain the highs and the lows sometimes or what an echocardiogram is and why it is needed. You can just be and sometimes that is all that it should be and why I love and need my friends with heart. Finding normalcy in raising a child with congenital heart defects is just a part of the journey and this is why I surround myself with friends with heart. Some of my closet friends I have met through our journey with CHD. CHD is life long and so are your friends with heart! My hope is to be able to share my journey with other heart friends here on heartwaves and it will help others who are beginning their journey with CHD and they make heart friends as well. Oh my gosh you are totally walking around in my head today. I am currently working on a post for later this week titled "How did I get here" and it is about the same thing.....how I am not the same person I once was and finding who I am now. Great post. Thanks for sharing your heart!